Bathroom accessories are some additional part that will make your bathroom more practical. 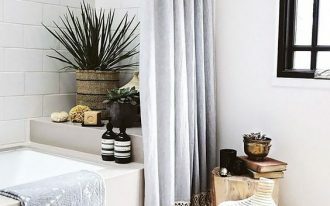 You can get some luxury bathroom accessories or simple ones. You can get soap or shampoo bottles. Shower curtains, and a faucet with your favorite colors. You can have bright color accents in your neutral bathroom. The following are some dazzling red bathroom accessories that can make your bathroom more beautiful. 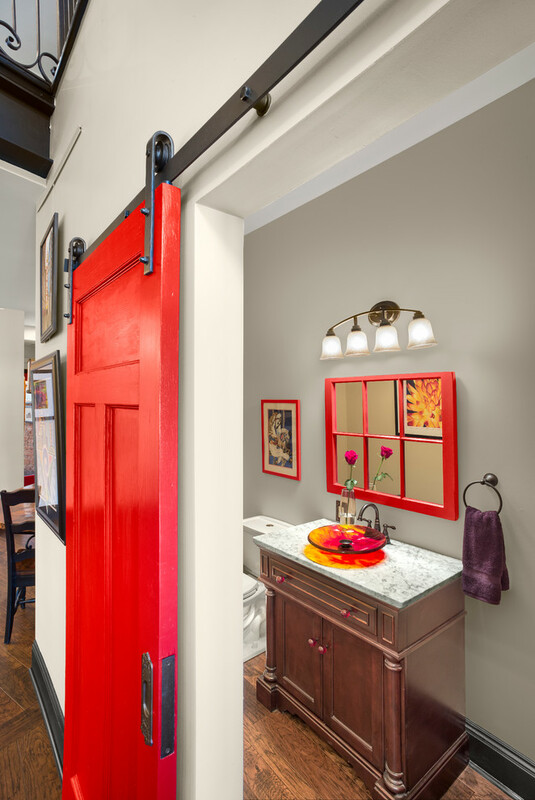 The entry of this bathroom is unique with a red barn sliding door. The glass bowl was made with red and yellow colors to give color reflection to the marble countertop. 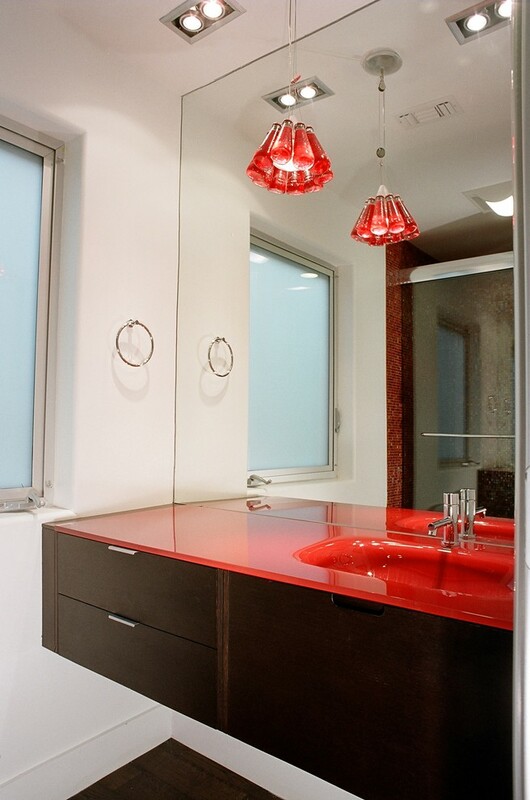 A framed red mirror has the same color as the sink bowl and the sliding door. Your bathroom will have nice red accents. A Mediterranean bathroom is a great theme style for a bathroom. This bathroom shower space with glass doors, wooden vanity, an undermount sink, mirror, black rack, and red-framed window. The black rack can be used to store some towels and red bathroom accessories. 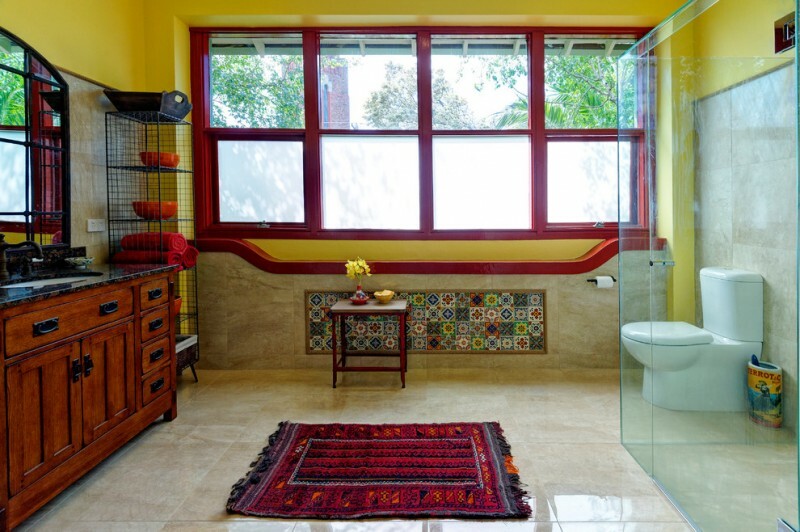 This bathroom is filled with playful colors. 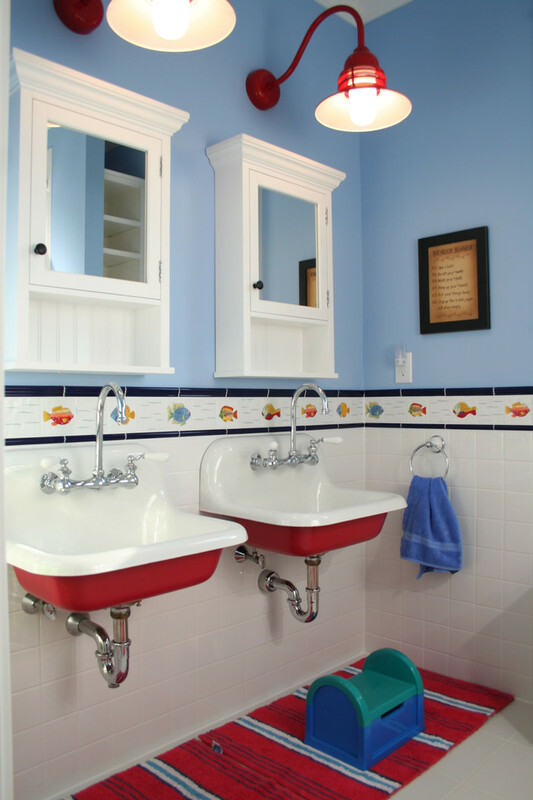 The red color on the sink, wall pendant, and a bathroom rug is an assertive hue. The sky blue on the wall is fun and colorful. 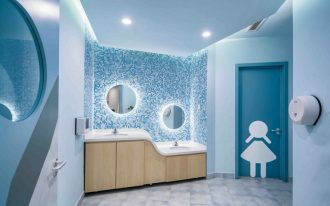 These colors are perfect for a kids bathroom. A red artwork with flower painting and a small red flower bottle support the Mini-Mosaic red tile wall. The veined travertine floor makes this bathroom look clean and bright. 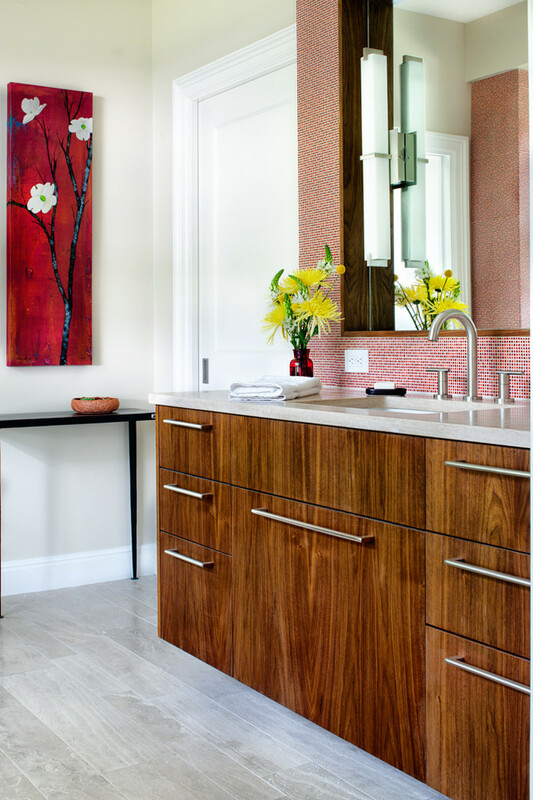 A gloss red countertop with an undermount sink makes a strong statement in a bathroom. 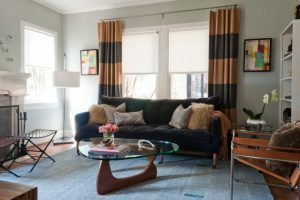 This hot trend color also works well on a kitchen island or in a powder room. 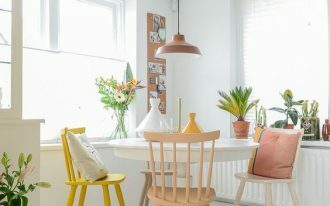 Campari Light suspension in red above the countertop gives extra lighting and color accent. 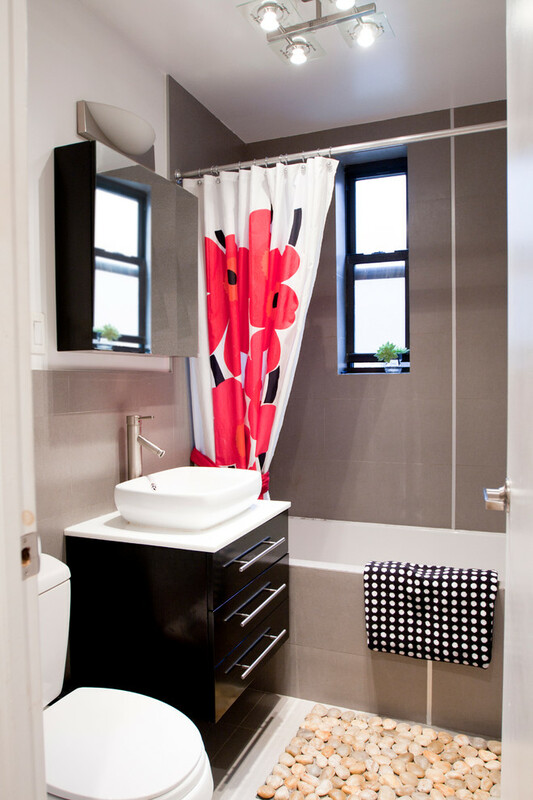 This white shower curtain has red flowers painting that beautifies this minimalist bathroom. This small bathroom has a mirrored cabinet and cabinet under the sink. Minimalist cabinets are great for a small bathroom and give extra storage. The shower area and the built-in tub are separated. The white theme is used as the bathroom color to make it look more spacious. 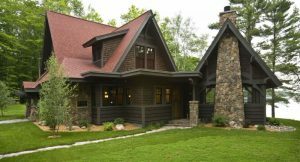 If you want to give red bathroom accessories, you can add a bathroom rug and window treatment to give this bathroom red accents. 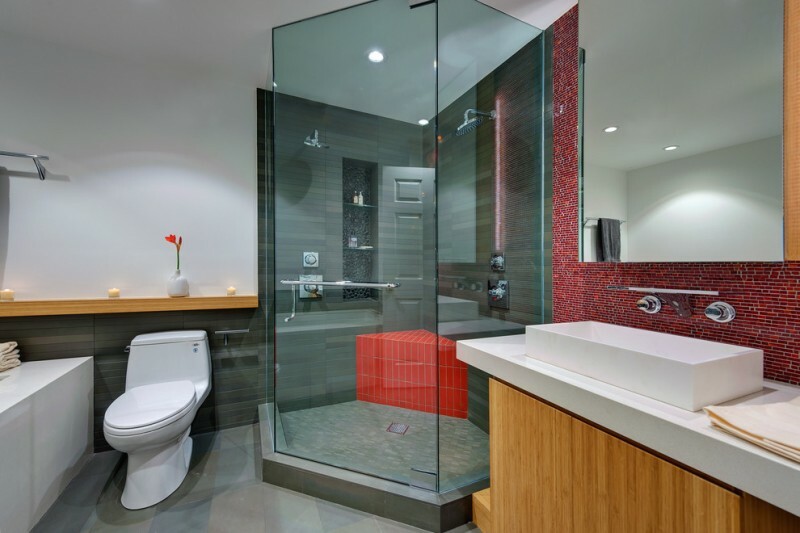 Red color can increase the mood in your bathroom. 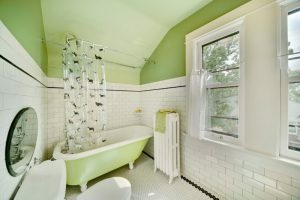 It is an elegant color that you can apply in your bathroom tiles or accessories. 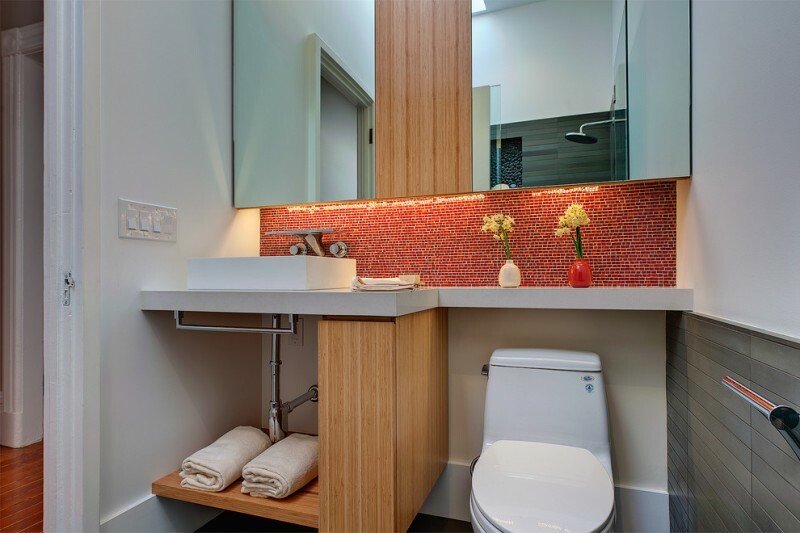 In this bathroom, the lighting under the mirrored cabinet brightens the red mosaic backsplash. 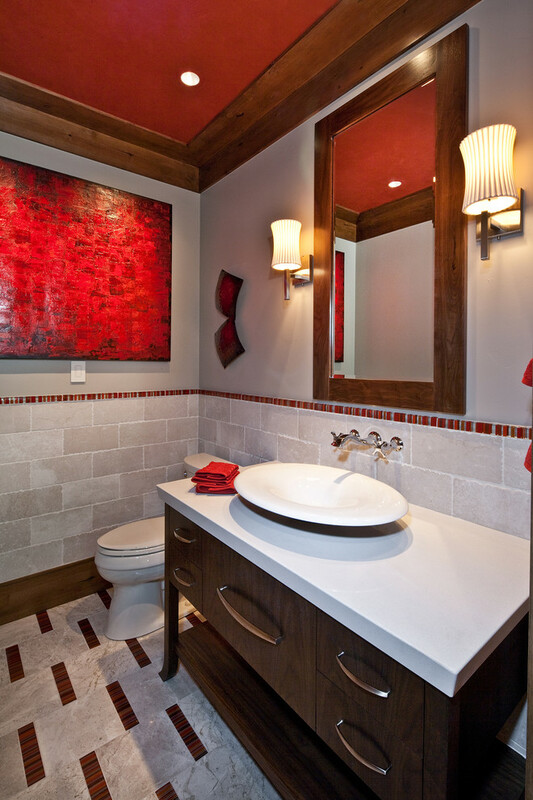 Besides getting some red bathroom accessories, you can have a red painted ceiling with recessed lighting. It will add the more dramatic effect in this bathroom. 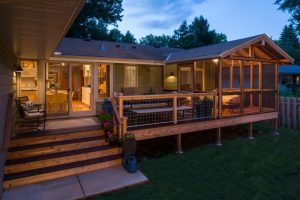 You can consider a shower bench or seat in your shower space. 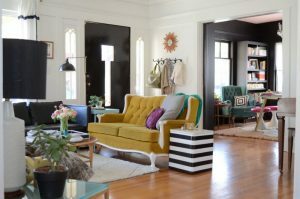 You also should add a little dun by tiling it in a bold shade such as red. This will be an interesting feature in a bathroom.